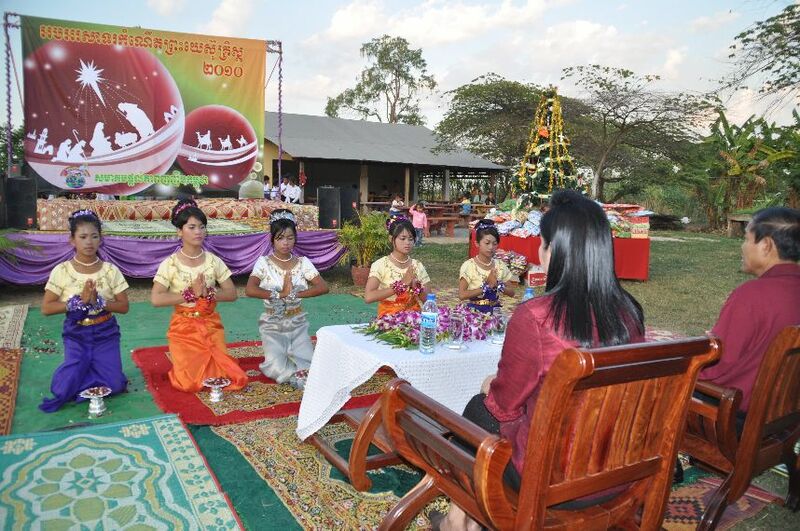 Earlier this December I told the Governor of Banteay Meanchey province that we did not want to hold a huge public Christmas this year and instead have a “family Christmas” with our kids in the Imparting Smiles center. We didn’t mind if the pastors still wanted a public Christmas celebration, but we decided we would not be a part of it. As a result, the Governor did not allow a public Christmas this year, but each of the churches held their own Christmas celebrations. The Governor asked to attend ours. He cancelled several official functions for the day in order to attend our “family Christmas”. We were greatly honored, as Governor Ung Oeun is really a part of our ministry family. Subsequently the Mayor and vice-mayor and several military and government officials were invited as well in accordance with protocol. My goal of the celebration was to show Christ and his birth clearly, but to have a fun time with all our 125 kids from Poipet and Kracheh centers. We also would celebrate 14 years of ministry as Words of Life. We now have many divisions of the ministry with Imparting Smiles being our Children’s ministry. We played games all day long with the kids and put all of the hundreds of gifts around our Christmas tree. 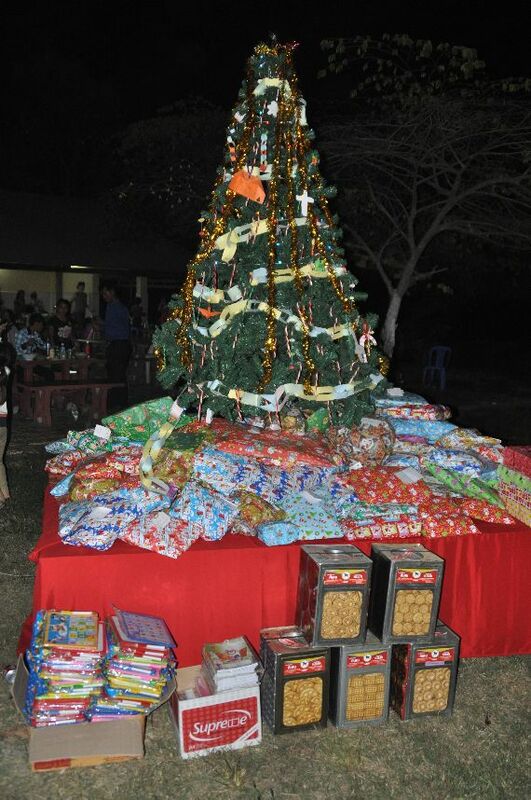 These gifts were mostly provided by the sponsors of the kids. 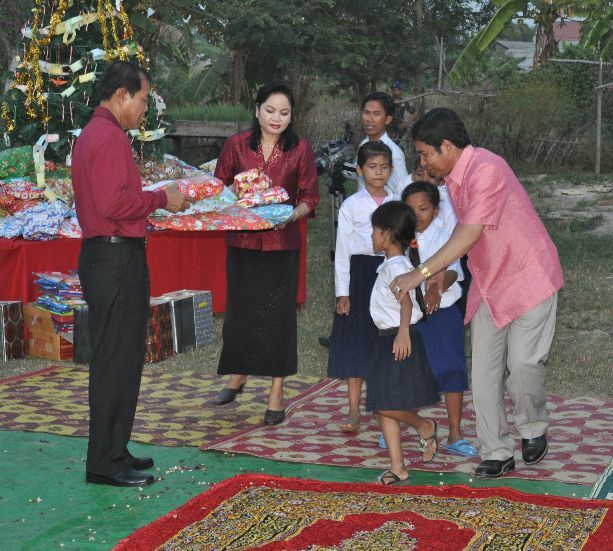 The kids anxiously wanted for their gifts which we would open after the Governor came in the early evening. Once the governor arrived, the kids did two traditional dances of blessing for the Governor and his family, and sang Christmas songs to them. We also had a few kids tell the story of Christmas in short sentences. I gave some brief remarks and basically just thanked the Governor and all the officials for helping us, so that we can help other people as well. The Governor then asked myself with my family and all the staff to come forward as he applauded all of us for all we do for no financial gain or salaries. He spoke at length to the kids about how God was giving them a great opportunity. He talked about the three chief leaders of Cambodia (the Prime Minister, the Speaker of Parliament and Former Head of State). He talked about how all of them were from families of poor farmers and they only could hope of a similar peasant life. But they worked hard and now they are kings of Cambodia. He told them that God may have the same plan for their lives, but only hard work and study will get them there. It was a very encouraging message, and he even explained the meaning of Christmas as good as us believers and talked about how he reads the Bible. He also provided gifts for the kids schooling to each one of them, doubling the blessing. This year I saved up my money so I could shoot off fireworks for Christmas. We got all the necessary approvals including informing the Thailand military on the other side of the border, so that they would not be worried that a war was starting. As darkness came excitement built until finally it was time. It was awesome! As good as any 4th of July fireworks display I have ever seen and it was right over our heads. I thought I had bought enough for about 5 minutes of shooting, but it seemed to go off for 15-20 minutes. Each blast brought screams and yells from the kids. Some were crying they were so excited. For most of them, it was the first time they had ever seen fireworks. Some of the little four-year old guys were scared and crawled under the tables, but no one knew it until it was all over because they were so excited. In the end, we found out a local “Oknya” (Similar to a Knight) had donated extra fireworks on top of what I bought so there was almost double what I had bought. The next morning, the whole town was talking about it. 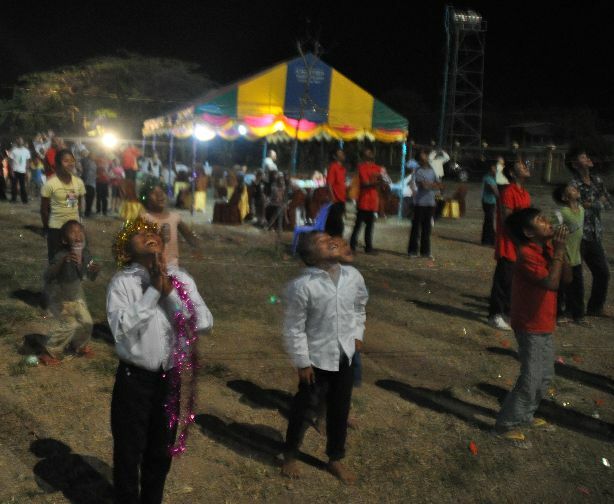 On December 25th in Cambodia, all 120,000 people in Poipet and even across the border in Thailand knew we were celebrating the birth of Jesus and many joined in with us. Wish we could have been there. Glad you notified all the necessary officials for the fireworks . . . could have started a land war in Asia! Looks like great fun. 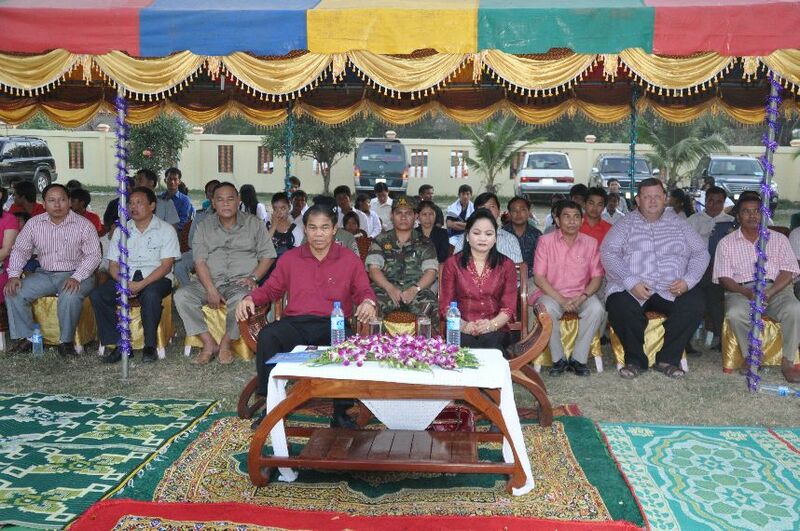 Glad also to see the Governor blessing your work and the children.